RICK CUSICK BEGAN HIS PROFESSIONAL LIFE with letters designing illuminated signs in California for one of the main firms that provided signage for the Nevada casinos. He moved to Kansas City to work at Hallmark in various areas including lettering, book design, and package design. His planned two to three year stay lasted 44 years—the last few managing font development and consulting on a variety of corporate projects. He also art directed Letter Arts Review and taught Editorial & Publication Design at the University of Kansas. CALLIGRAPHY/HANDLETTERING IS NOT SOMETHING WIDELY TAUGHT. HOW DID YOU LEARN? I’VE BEEN PLAYING WITH LETTERS since I was a kid but they didn’t start to make sense until I attended San Joaquin Delta College, a community college in my hometown, Stockton, California, and I took a “Lettering & Layout” class with James R. Lewis. We studied the basic calligraphic hands using a broad edged pen and brush. Lewis’s second semester was more conceptual and dealt largely with the expressive aspects of lettering which scared me so I put off taking it for a year or so and instead worked with a small group of students designing and silk screening posters for the drama department. Through Lewis’s teaching and personal work I learned that letters were more than a collection of alphabets to be memorized. He instilled an open-minded attitude about letters and lettering for which I have always been grateful. My education continued in a major way a couple of months after I left Delta when I got a job designing illuminated signs for AdArt, Inc., who among other things provided the hotels and casinos in Las Vegas, Reno, and Lake Tahoe with their extravagant signage. AdArt’s headquarters and main manufacturing plant was in Stockton. I was wholly unqualified but Chuck Barnard, the art director, liked that I was interested in letters and hired me. The job got me to think more about design. It also gave me experience with the allusive aspects of letters and, because this was before computers changed the industry, we drew all of the lettering to scale—sans serifs, romans, et al.—so it expanded my drawing skills, and improved my eye. In addition, I spent many lunch hours in the yard taking pictures mostly of signs: new, old, a lot of them in pieces. I composed them in the frame, which heightened my sensitivity to form and influenced some of my later design work. I left after 13 months and, because I wanted to learn more about designing for print had been considering going back to school. I visited Art Center College of Design in Los Angeles a few months earlier with a buddy, Lou Frederico, who was a sign painter and a great pin striper. I hung out a lot in sign shops and Lou and I would drive around for hours checking out signs, so I was pretty immersed in letters. When I entered Art Center my plan was to attend for two years because that’s all I could afford. I studied lettering with Mortimer Leach, author of Lettering for Advertising and Letter Design in the Graphic Arts. Leach taught the built up technique and didn’t see a lot of use for calligraphy, but that didn’t bother me, I was there to learn what I could in the short amount of time I had, in fact I never looked at my grades. Mort was very approachable and candid, and I signed up to take more classes with him, but I left school earlier than planned after some unforeseen events took place in just a few weeks’ time, i.e., I was offered a job to play the drums for three months at a restaurant on a boat in the Stockton Delta, which would have helped with tuition, so I got permission to postpone returning to school for a semester, but before any of that happened a recruiter from Hallmark called out of the blue and asked me to send my portfolio. A month later I was living in Kansas City. EARLY IN YOUR CAREER YOU LEARNED BY WRITING LETTERS TO YOUR HEROES. WHAT DID THAT TEACH YOU? DID YOU EVER GET A RESPONSE FROM ANY OF THOSE HEROES? DO YOU STILL HAVE ANY OF THESE LETTERS? I STARTED WRITING CALLIGRAPHERS when I was still at Delta, mainly asking for book titles I might look for, which sounds kind of audacious but it was really out of naiveté, I didn’t know how else to learn. Raymond F. DaBoll was the first one I wrote to. Ray worked in Chicago for 40 years, was Oz Cooper’s right hand man for a couple of years beginning in 1919, but was a freelance art director, designer and lettering artist most of his career. He moved to Arkansas in semi-retirement. I visited him often after I moved to Kansas City and discovered a lot of interesting things about him, for instance, he had known a variety of influential designers, including Frederic Goudy, Gyorgy Kepes, and Maholy Nagy; so I put together a festschrift for him to record what I had learned. Ray was so generous in his response to my first letter, sending me samples, etc., that it encouraged me to write others. They were all a generation or two older than me so I suspect they thought here was a young guy that should be encouraged. They still had the passion. And since they had different backgrounds and the type of work they did varied—book design, movie titles, album covers, advertising, promotion, type design—writing them broadened my perspective about lettering and design. One of the calligraphers I began corresponding with after I moved to Kansas City was Fritz Eberhardt who was also a master bookbinder (as was his wife, Trudi). I commissioned him to make clamshell boxes so I could keep the correspondence on my bookshelf; I have 18 beautiful boxes full of letters and other material about many of those I corresponded with. WHAT ADVICE DO YOU HAVE FOR YOUNG DESIGNERS & ARTISTS LOOKING TO DEVELOP THEIR LETTERING SKILLS? TAKE CLASSES IF POSSIBLE. It never hurts to have someone pointing out things while you’re learning. If classes aren’t available, look for workshops. I’ve seen lettering workshops sponsored by various AIGA chapters, including Kansas City. It’s also easy to find relevant books online and through the interlibrary system. I spent a lot of evenings in the Stockton Public Library when I was at AdArt reading books and magazines about designers, fine printers, typographers, and lettering artists. There are many ways to learn, just get started. Don’t get discouraged if you’re not getting the results you want right away, and don’t get too complacent if you are; there’s always more to learn. Be curious to where it can lead. HOW DID YOUR BACKGROUND IN CALLIGRAPHY HELP YOU AS A FONT DESIGNER? KNOWING WHY letters look the way they do, i.e., the influence that tools and kinaesthetics have on letterforms is handy to know when designing fonts. HOW HAS YOUR UNDERSTANDING OF LETTERING MADE YOU A BETTER DESIGNER? BESIDES GIVING ME AN ADDITIONAL TOOL to work with as a designer, my interest in lettering directly led to my appreciation of type and typography. Jan Tschichold, the great codifier of the “new typography” wrote: “All my knowledge of letter spacing, word spacing, and leading, is due to my calligraphy.” Not a bad endorsement. Most communication design involves words. Appreciation for words and intimacy with the letters that form them enhance the ability to solve a problem. Thoughtless lettering and typography can ruin an otherwise good idea. WHAT IS YOUR FAVORITE FONT YOU DESIGNED? WHY? HOW DID YOU COME UP WITH ITS NAME/CONCEPT? I GUESS MY FAVORITE IS NYX, a display font I did for Adobe many years ago. Not that it’s a great typeface but it was a great experience working with the Adobe type staff. I had used the style for a number of personal and freelance projects including titling in Letter Arts Review, a magazine I was designing at the time. The folks at Adobe chose the version I used on a keepsake for a talk I gave in connection to an exhibition of my work at the San Francisco Public Library. Nyx is the Greek personification of Night—my muse— appropriate since most of my personal work is done at night, plus those three letters together were just too cool (I also use the name Nyx Editions as a imprint). I’ve seen a few interesting applications of it, including a bumper for Zoo Productions, a TV production company, and the title for The Scorpion King. One of my favorites was a hand done version on signage for the last incarnation of El Torrean Ballroom in Kansas City. It was an awesome first job, with awesome people. Now on my own full time, I’ve learned the freelance illustration world can be an intimidating place. Amazing projects will come along, your favorite concepts will get killed and jobs will come and go. I would tell myself to celebrate success, learn from your failures and just keep working hard, it’ll pay off. YOU HAVE DESIGNED MANY BOOKS OVER THE YEARS. WHICH BOOK DESIGN IS YOUR FAVORITE SO FAR? THERE ARE POSSIBLY SOME Hallmark gift books from years ago that are still ok, but a few years ago I designed a book I was happy with called The Art That Surrounds Us. It was a Christmas gift from Hallmark employees to the Hall family, and featured art from the corporate collection and poetry by members of the writing staff. One of the perks about working at Hallmark is seeing the variety of art on the walls. When I started at Hallmark only a few pieces were hanging in public areas in the building and in closed offices. The title The Art That Surrounds Us couldn’t have been used back then. A book from many years ago is The Proverbial Bestiary, a collaboration with Warren Chappell who designed the typefaces Lydian and Trajanus. From the mid 70s to the mid 80s I was a consultant for TBW Books, a small publisher in Maine. TBW published my tributes to Ray DaBoll, With Respect…to RFD (1978), and Lloyd Reynolds, Straight Impressions (1979), and I did some designing for them. I recommended they ask Chappell to do a book of his drawings with proverbs that he could either letter or set in type (he loved Janson). He said he’d do the drawings if I did the lettering. Chappell wrote a few books, including A Short History of the Printed Word (1970), which prompted our correspondence—at first about the Rudolf Koch Werkstatt in Offenbach, Germany, which he was a member of in the early 30s. Chappell was very encouraging and his letters very informative. WHAT’S YOUR FAVORITE LETTER AND LEAST FAVORITE LETTER TO DESIGN? I DON’T HAVE A FAVORITE (or least favorite) letter; they’re like typefaces and colors in that respect—it depends on the task at hand. HOW HAS THE FONT INDUSTRY CHANGED IN THE LAST 40 YEARS? FORTY YEARS AGO most typefaces were attached to typesetting machines, which had been true since the 19th century; developing a typeface was a slow and expensive process. Now it’s relatively cheap to produce a font and the typesetting machine is the personal computer. I imagine more graphic designers might add font design to what they offer, or consider designing them for retail as an additional means of revenue, not unlike Dwiggins, Zapf and Adrian Frutiger did, except they had relationships with specific type foundries. Today, a designer can self publish fonts and collect royalties. HOW HAS YOUR WORK WITH FONT DESIGN FOR HALLMARK CARDS DIFFERED FROM THE WORK YOU DO IN THE OUTSIDE FONT WORLD? NYX IS THE ONLY FONT I designed outside of Hallmark (so far) because Hallmark has a policy banning anyone from freelancing font design for retail. There are a number of reasons for designing a font—supporting a brand, giving a new look to a magazine, etc. Historically, fashion and sales have also been factors. Designing fonts for Hallmark is different. When I managed font development there I considered what might be useful for the product, sometimes specifically, sometimes generally. In that respect, my experience designing an array of Hallmark products over many years was as important in my decisions as my background in lettering and typography. The company licenses thousands of commercial fonts and continues to add to them, which is incentive to come up with something different. HOW HAVE YOU SEEN KANSAS CITY CHANGE IN THE LAST 40 YEARS? 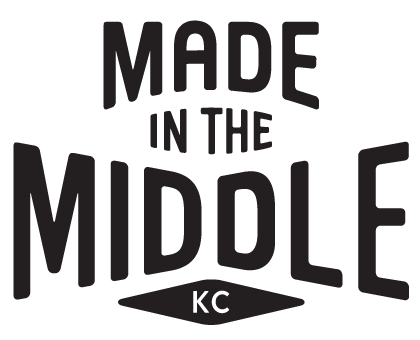 ARE THERE PLACES YOU WENT WHEN YOU FIRST ARRIVED IN KC THAT YOU STILL GO TODAY? FORTY YEARS AGO, downtown was all but dead. That has changed considerably with the Power & Light District, the Sprint Center, et al. When I first moved here there was a restaurant and jazz club in Union Station called The Landmark. I saw lots of great players, including Duke Ellington, Mongo Santamaria, Gabor Szabo, and Buddy Rich. I went to see the Cannonball Adderley quintet every night for the week they were there. I was in heaven. Then it and the station closed for a couple of decades. Now at least Union Station is thriving. One place that’s still around is A Streetcar (Named Desire). I’ve eaten many, many lunches there since they moved from Main Street to Crown Center 30 years ago. DESCRIBE YOUR PROCESS FOR CREATING AN ORIGINAL FONT. AT HALLMARK most of the fonts start with lettering by the artists on staff (there are a number of fonts in their proprietary collection based on lettering I did years ago that others made into fonts). We often used what raw material we had and added what was needed: numbers, punctuation, etc., other times more material is requested. The art is scanned, then a basic alphabet is determined, and a second level and alternates if desired. The original source usually has to be finessed to get it to work. I’VE HAD VARIOUS HEROES at various times. I learned a lot from studying the work of Paul Rand, Hermann Zapf, and Jan Tschichold, especially about the effective use of space. I love the inventiveness of Imre Reiner’s lettering, design and typography (who I also had a bit of correspondence with). I consistently go back to all of them for inspiration. As I do to the work of Oldrich Hlavsa, a great typographer from Czechoslovakia I used to write to. I still find Dutch pioneers H. N. Werkman and Willem Sandberg’s work refreshing, and I also studied very closely how Picasso, Toulouse-Lautrec, Matisse, Miro, and others used lettering in some of their graphic work. All of the calligraphers I wrote to when I started were influential in some way. One of those I began corresponding with before I moved to Kansas City was Arnold Bank, a professor at Carnegie-Mellon. He had broad commercial experience and had also been a Senior Fulbright scholar; in the 70s I was able to research a 15th century herbal for him here at the Linda Hall Library. A great lettering artist I corresponded with after I came to Kansas City was Villu Toots who had his own lettering school in Estonia. In the early 80s I taught a workshop for him in Germany because at the last minute the Estonian powers that be wouldn’t let him leave the country. Such were Cold War times. They all had their various heroes: Oz Cooper, W. A. Dwiggins, Rudolf Koch, F. H. Ernst Schneidler, et al. I studied their work closely. When I got more into graphic design, I had the same heroes as others at the time. A few of my favorites were Saul Bass and Robert Miles Runyan in Los Angeles and in New York, Pushpin Studio, James Miho (I always thought it would be cool to work for Miho), Herb Lubalin and Lou Dorfsman. I was at a small dinner party for Dorfsman once when I was teaching at KU, and I remember him saying that if he ever left CBS (where he was VP of Design), he wouldn’t partner with Lubalin like everyone assumed (they were good friends and had been classmates at Cooper Union), but he might with Ivan Chermayoff (of Chermayoff & Geismar) or Bass, because they were great salesmen. I remember thinking that kind of practical thinking should be part of design education. IN YOUR BOOK WHAT OUR LETTERING NEEDS, YOU TALK ABOUT THE IMPACT TYPE DESIGNER HERMANN ZAPF HAD ON HALLMARK. HOW DID HERMANN ZAPF INFLUENCE YOU PERSONALLY AND HOW DID HE INFLUENCE HALLMARK? HERMANN CONSULTED WITH HALLMARK from 1966 to 1973. He wrote a lettering manual for the Hallmark lettering department that, although never published, was studied intensively by staff members, and occasionally he was sent examples to critique. He also designed a number of proprietary fonts that influenced typography on products for many years and acted as models for lettering artists. Hermann’s association with the Hallmark, like Henry Dreyfus, Alexander Girard, and Charles and Rae Eames, added luster to the company. One result of the Hallmark/Zapf association was that from the late 60s into the 80s a number of lettering artists with calligraphic training were hired, including me. My introduction to Hallmark was a result of a movie the company produced about Hermann, which he mentioned in a letter to me in 1969. I borrowed the film so many times over the next couple of years they invited me to interview. Two months later I was in the Alphabet Group designing everything from fonts to the annual statement of benefits. After a year and a half I transferred to the book department because the two people who knew the most about typography were there, and the Lettering Department at the time seemed too restrictive. My first assignment was to assist Hermann with a book he was designing from Frankfurt. That gave me some insight into the way he worked. I learned a lot about mixing typefaces from Hermann’s, Manuale Typographicum (1958 and 1963)—and just how expressive subtle typography can be. Of course, his calligraphy has always been inspirational. He also helped me with personal projects over the years and he and Gudrun became good friends. I’M A BIG FAN of Isamu Noguchi’s work, so I enjoy the gallery with his sculptures at the Nelson-Atkins Museum of Art.